The Institute of Contemporary Arts (ICA) is hosting the Beware Wet Paint group exhibition at their London space from September 23 to November 16. The collaborative exhibition features a variety of artists for whom “painting forms a single strand within a multidisciplinary practice”. 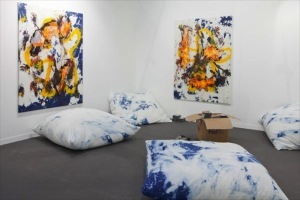 Among them is target painter Ned Vena, the so-called ‘word painter’ Christopher Wool, as well works by ‘denim-painter’ Korakrit Arunanondchai (whose 2557 show is also running at London’s Carlos/Ishikawa), Isabelle Cornaro, Jeff Elrod, Nikolas Gambaroff, Parker Ito, David Ostrowski, and Pamela Rosenkranz. The exhibition, derived from a quote by Marcel Duchamp, underlines the potential disruptiveness of an otherwise traditional art form in the hands of those said to be ‘practicing without a license’, a phrase used to describe Wool’s work at Guggenheim talk. 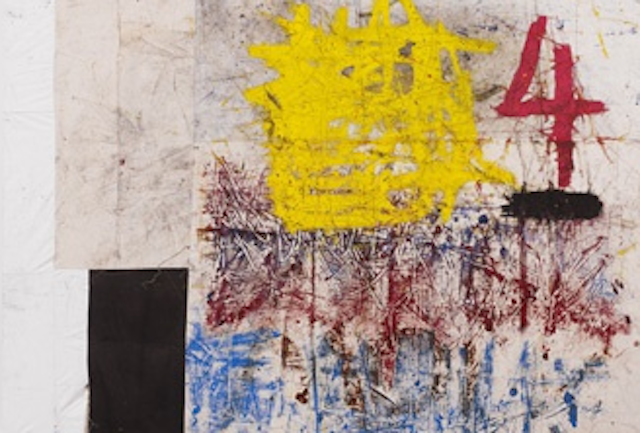 Alongside the standard physical exhibition, Beware Wet Paint will also feature Discussing Beware Wet Paint with ICA Executive Director Gregor Muir and artists Oscar Murillo and Brian Fay on September 24, as well as a Gallery Tour with Muir on October 2. Berlin’s Société is one of the exhibitors at the fifth year of Art Los Angeles Contemporary (ALAC) this year, running January 30 to February 2. The gallery will be presenting work by Josh Kolbo, Sean Raspet, Timur Si-Qin and Ned Vena, along with 70 other international blue chip and emerging galleries at the Barker Hangar in Santa Monica. Tabor Robak and Cory Arcangel representative team (gallery, inc.) will also be there with a selection of its other artists, while Jonathan Viner will present work from George Henry Longly, and Brenna Murphy represented by Portland’s Upfor gallery.